Making pieces for your own home is a rewarding experience. When you create items for your home by hand, you get to enjoy the pride and pleasure of your handiwork every day. What better way to put your creative ideas into practice, be the envy of all your house guests, and make something that may have cost you hundreds of dollars at a boutique shop. 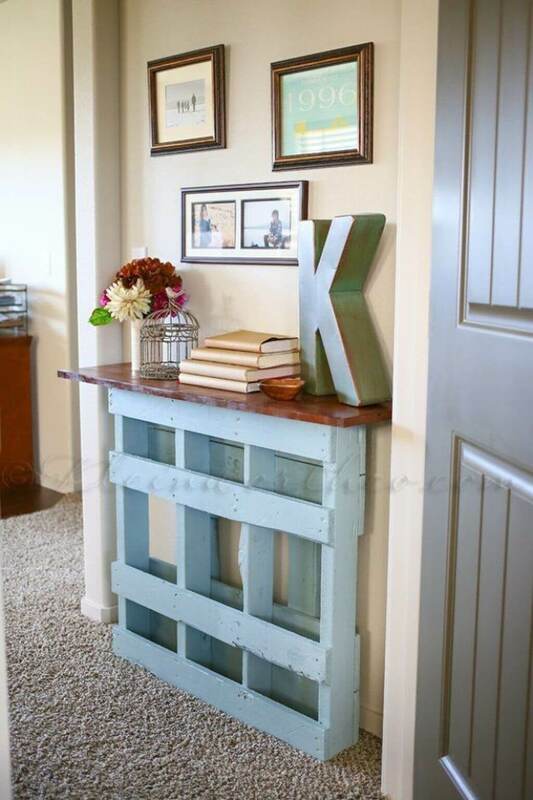 In recent years, DIY pallet projects have been a trendy way to do just that. This multi-functional, upcycled item can be painted, stained, sanded, cut, or shaped, which makes the pallet a particularly useful medium for home décor projects. Available for cheap at most home improvement stores or even for free at some local businesses, pallets have become the DIY building material du jour. (Just keep in mind that used pallets may need some TLC before you transform them into your next amazing piece.) Here are some fun and unique ideas to get you started on your very own DIY pallet projects. Wall art can be craftily and cutely created at home using just a few pallets and some paint. 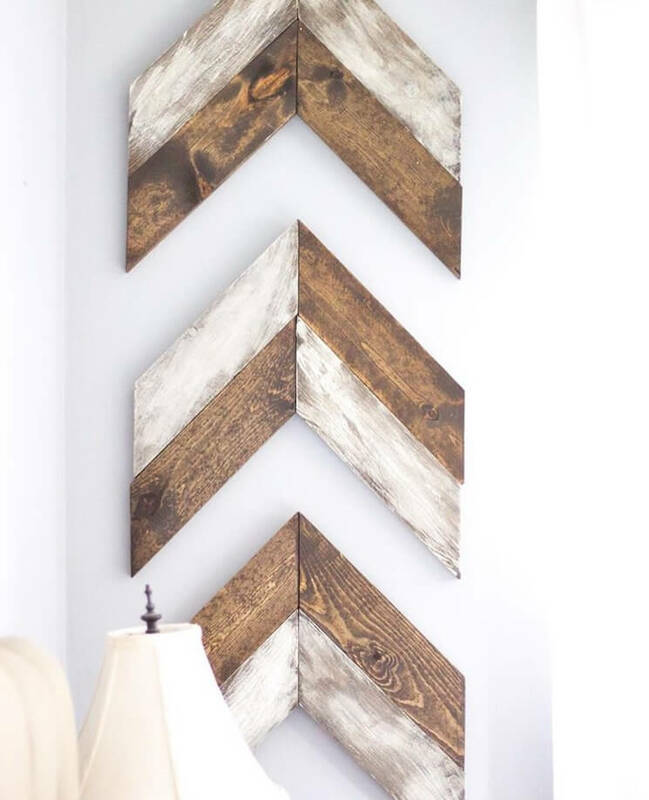 The multi-section wide arrows make a great platform for some yin-yang patterns, and the size can be adjusted to fit any bare wall in your home. Consider alternating patterns for each arrow. Pallets, while good for adding rustic elements to your décor, can also serve a functional purpose. 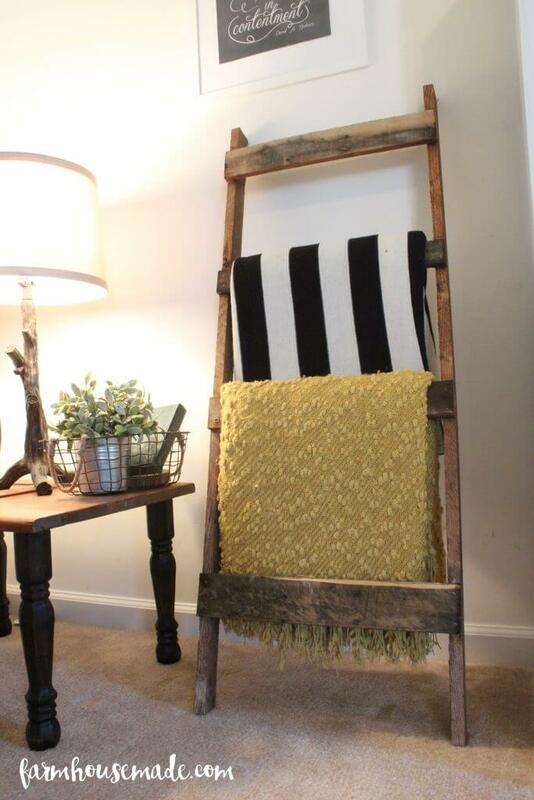 If you’re one of those people who finds themselves with piles of blankets on the couch, hanging on chairs, or overflowing out of the linen closet, consider creating a pallet blanket ladder. This piece allows you to see all your blankets, and adds a cozy pallet piece to your living room. 3. What Time is it? Pallet Time! 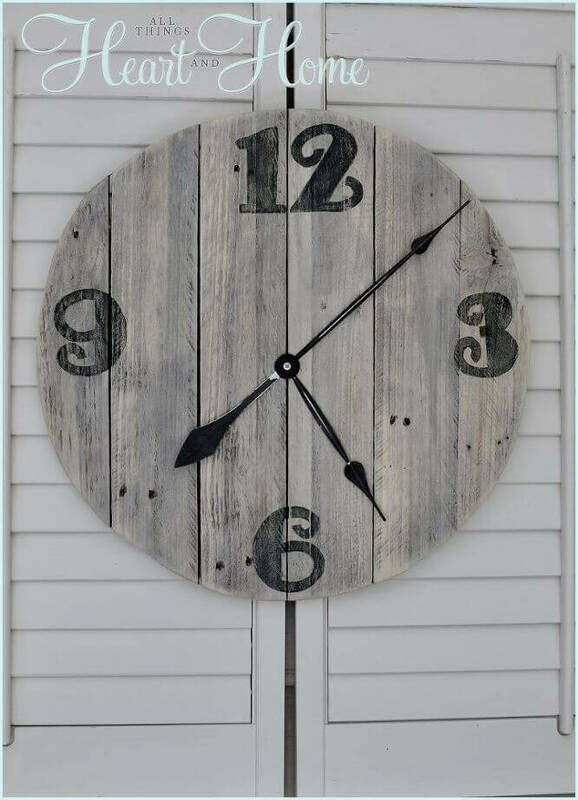 A pallet clock can be a great centerpiece to any room. This shabby-chic timepiece puts the fun in functional and can be decorated with whatever paints and fonts fit your theme. You can even decide to go minimalist and not add any numbers at all. The clock hands themselves are typically inexpensive and easy to install. Sometimes it can be hard to find a piece of furniture to fit just right in your home. A great and cost efficient solution to this problem is to create your own! Making a pallet hall table at home gives you the flexibility and freedom to create whatever look you like. Personalize colors, height, and width to make your table fit just right. 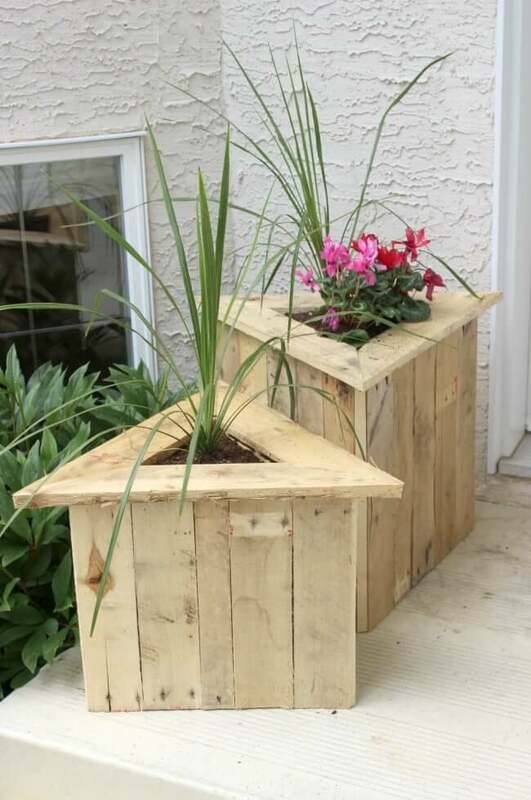 Adding a burst of green can liven up any patio, and pallets can be made into perfect triangular planters. This shape works well with pallets and can be arranged in interesting patterns if you choose to create more than one. These planters provide easy access for watering and hold up through adverse weather. 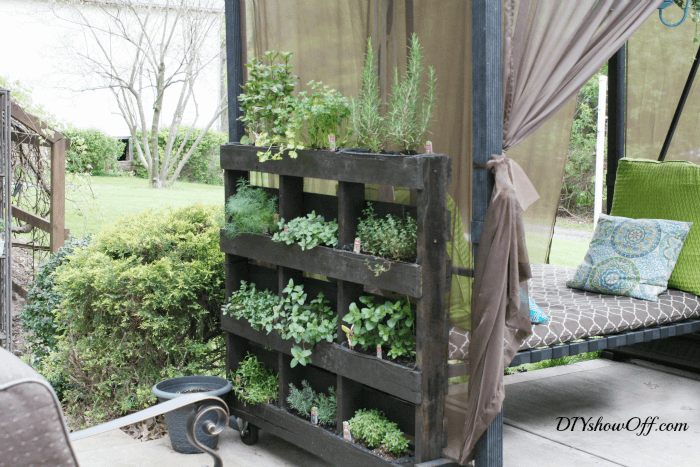 If you have decided that the time is right for you to grow your own fresh herbs, this vertical pallet herb garden is the perfect place to start. Great in the garden or on the patio, this standing garden allows for easy access to all of your plants while simultaneously making for a beautiful display. At the center of the household is the dining table. What better way to create a meaningful piece for your family than to custom make your dining table using upcycled pallets. Everyone will be impressed knowing that you crafted this future family heirloom by hand. 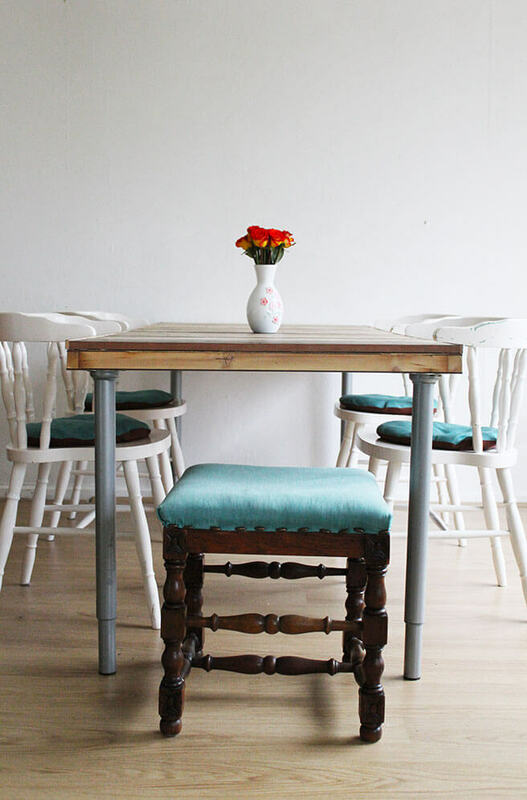 And again, making your own table is a great way to ensure everything matches!